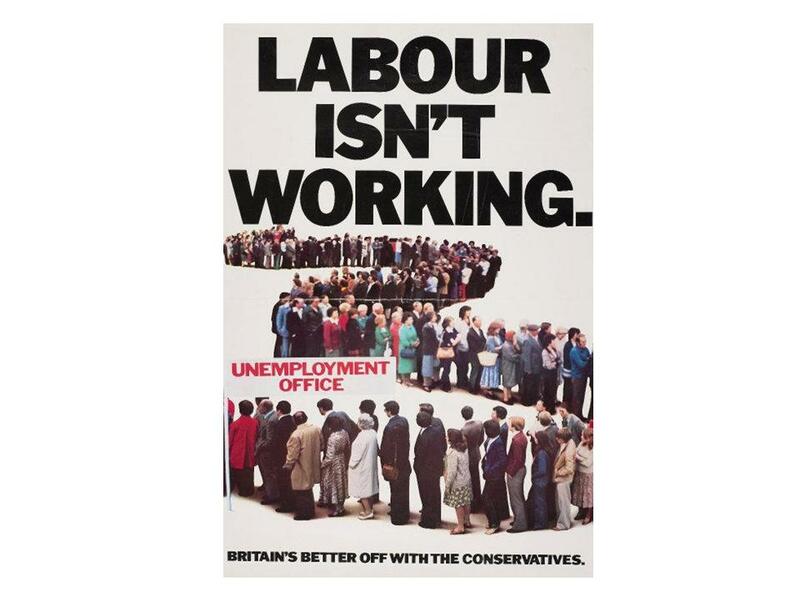 For my debut post on this blog I thought I’d post THE iconic piece of political advertising. It was produced by Saatchi&Saatchi and is credited to copywriter Andrew Rutherford and art director Martin Walsh; Jeremy Sinclair and Charles Saatchi are also said to have being hugely influential in its creation. Tim (now Lord) Bell was the account manager who sold in the ad to (now Lady) Thatcher. The simplicity with which the word play of the headline attributes the blame of high levels of unemployment of the time to the Labour government, whilst at the same time calling for their removal from power, is outstanding. It worked because it was not overly aggressive and yet delivered a devastating blow on the record of the government. Too many ‘attack’ adverts in their aggression alienate the electorate, rather than influence them. The ad was created by Andrew Rutherford cw and Martin Walsh ad. Big influence from Jeremy Sinclair and Charles Saatchi. The inspirational account man was Tim Bell.